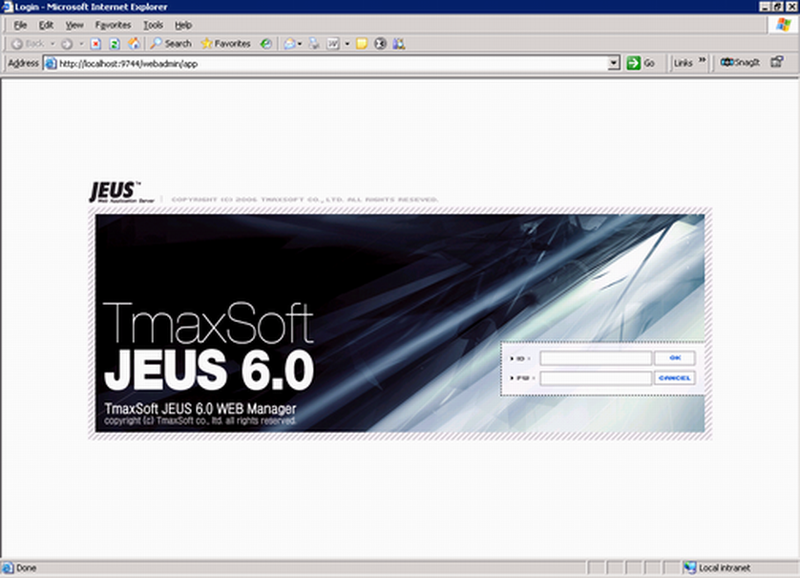 Step 1: Enter the following URL in a Web browser to access the JEUS Web Manager. HOST indicates the machine name or the IP address of the computer on which the JEUS Application Server is running. Make sure no other programs are using the same port. The logon page of JEUS Web Manager appears. Step 2: Log in to the Web Manager using the user name and password specified during the JEUS installation. The JEUS Web Manager main page appears.